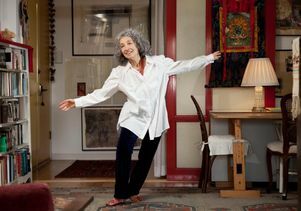 A former professional dancer, Deborah Cohen combined her academic interests and passion for artistic expression to produce a dissertation about a contemporary artists’ guild in Tibet. When Westerners think of Tibet, images of Tibetan Buddhism and a mystical, timeless Shangri-la often come to mind. To Deborah Cohen, a researcher of contemporary art in Tibet, this is an antiquated, inaccurate view of the region, located high on a plateau northeast of the Himalayan Mountains. Cohen considers the Tibetan artists’collective she has studied for the past 10 years far more representative of the country’s reality. After varied academic pursuits and a career woven around artistic expression, Cohen will celebrate her doctorate degree in culture and performance June 11 at the UCLA’s hooding ceremony at 3 p.m. in Royce Hall. Cohen intends to leverage her newly minted degree to secure grants for future artistic projects, including opportunities to curate art exhibitions. She also looks forward to publishing articles on her subject in academic journals. Cohen’s dissertation took her to extreme heights — 13,000 feet in altitude to be precise — as she explored the thematic depths of the work produced by the Gedun Choephel Artists’ Guild, a group formed in 2003 in response to the Chinese government’s decision to build a railway between Beijing and Lhasa, Tibet’s administrative capital. UCLA doctoral student Deborah Cohen sits at a cafe with friends and an artist from the Gedun Choephel Artists’ Guild after giving a lecture at Tibet University about the artists’collective. Nyandak was one of two guild members that Cohen was instrumental in bringing to Los Angeles in 2010 to serve as artists-in-residence for two months at the 18th Street Art Center in Santa Monica. “They became a guild to address their culture not as a historical artifact, but as a living, breathing culture,” said Cohen. When she started her graduate studies, very little was known about contemporary Tibetan artists who were working within Tibet. China and Tibet have been in conflict over Tibet’s sovereignty rights since 1950. Ever since China claimed power over Tibet, human rights issues and the mass migration of ethnic Chinese into Tibet have followed. 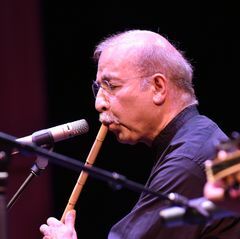 This, coupled with China’s promotion of Tibet as a tourist destination, has sharply eroded Tibet’s culture and traditional way of life, said Cohen. The Chinese government’s decision to build an extensive rail line between Beijing and Lhasa catalyzed the collaboration of these contemporary artists, who were all trained in China. “Everything was changing in the Tibetan culture. The effects of the Cultural Revolution had been devastating for Tibet,” said Cohen, who made three trips to Tibet to conduct research. ► More UCLA Newsroom commencement news and photos. 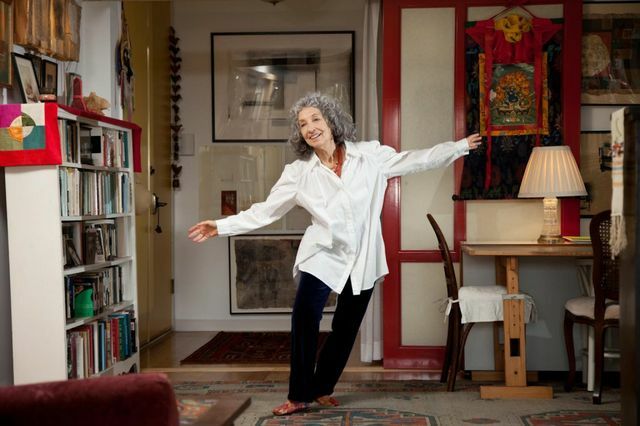 Cohen later taught dance, meditation and yoga; worked as an artist-in-residence and cultural outreach specialist; and founded an experimental ballet training program. She also spent 10 months living at Gampo Abbey, a Tibetan Buddhist monastery in Cape Breton, Nova Scotia, Canada. Back in Los Angeles, she decided to explore a new side of herself and find a way to bring together her various interests — drawing, building, space, movement and design. She had never attended college, and she realized she needed to experience higher education. Ultimately, she enrolled at the Southern California Institute of Architecture. 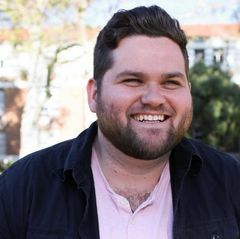 "The entire process from the moment I started school to now has been an extremely wonderful chance for me to experience in-depth critical thinking, an opportunity my parents never had," said Cohen. After graduating in 1997, she began working as an educator at the Museum of Contemporary Art, where she still works. She was also hired as an architectural designer for a renovation at Estilo Salon in West Hollywood. In her mid- to late-50s, she became increasingly interested in exploring the intersection between dance and architecture. At the time, said Cohen, UCLA’s Department of World Arts and Culture/Dance was just getting off the ground; it was the perfect place for her to pursue a master’s degree in culture and performance, she thought. Her master’s thesis examined how modernism in the West had taken inspiration from the East in the form of mandalas, a spiritual and religious symbol in Hindu and Buddhist teachings which came to represent expressions of abstract space in modernist painting and sculpture. This work took her to Tibet where she immersed herself in the art and culture of the region. She said that she traveled alone and stayed with a local woman (which she later learned was forbidden for foreigners) and got by well for someone who didn’t speak the local language. 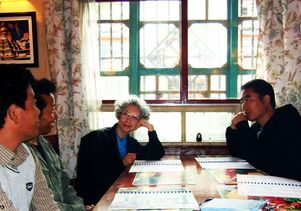 “I would walk down the street and get thumbs-up from the local people because I was an elderly white woman just walking around alone in this big city in the center of Tibet.” It was during this visit that she met the group of contemporary artists who inspired her to continue graduate work and produce a Ph.D. dissertation. “Once I met the guild members, I realized I really needed to write about them because they needed to be recognized,” said Cohen, 73, who is the oldest person to earn a Ph.D. this year at UCLA. He said he had never had a student pursue a Ph.D. at Cohen’s age in the 35 years he has taught at UCLA. For more stories on commencement and UCLA’s newest graduates, go to Newsroom’s commencement page.